Old wooden whiskey barrel painted red white and blue to mimic the Texas flag. Topped with a Stetson Style cowboy hat. The Texas Lone Star standing bold front and center. 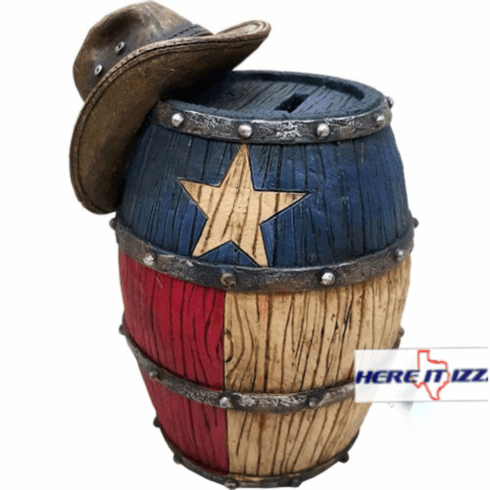 This Texas Flag wooden barrel piggy bank makes a great gift. Works well as a cute ornament or a place to empty coins.